Teaching Parts of Speech can be sometimes boring and sometimes difficult, especially for ESL students. 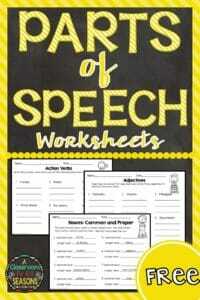 I use these free parts of speech worksheets to make learning a little more fun. 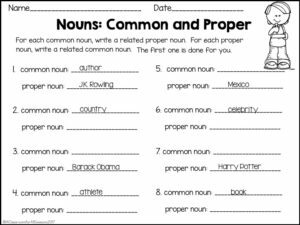 Nouns: Common and Proper – Students will practice the difference between common nouns and proper nouns. 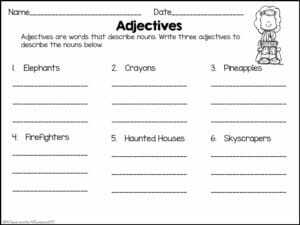 Adjectives – Students will brainstorm adjectives to describe the given nouns. To make this more challenging, see who can come up with the most unique adjectives! 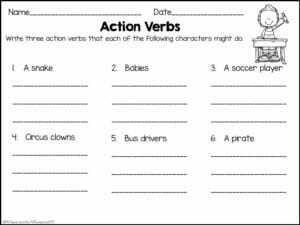 Action Verbs – Students will practice action verbs by write three action verbs for each given noun. 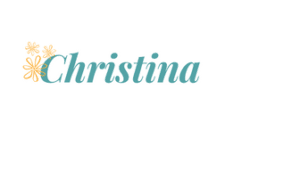 If you would like to try these activities in your classroom, head here! 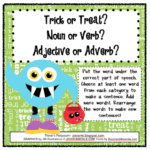 « Autumn Riddles for Vocabulary and Comprehension!